Predatory Churchmen in the Service of Whom? Edmond Taylor's 1963 The Fall of the Dynasties details the descent of Europe into World War I and describes various movements and counter-movements that played roles in the disintegration of Europe's dynasties and their imperial states. One of many human players, of course, was V. I. Lenin, who had designs against the Romanov dynasty in Russia. In exile in 1912, he was permitted to park himself in Galicia, just outside Russia, with the full knowledge of the Austro-Hungarian authorities. 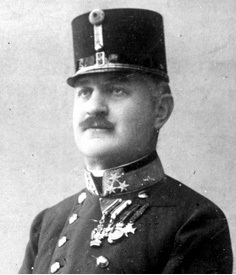 Meanwhile, the chief of the Austro-Hungarian counterespionage and military secret service, Alfred Redl, was a double agent working for the Russians. The Russians, to boost Redl's status in Austria, gave him the names of their own Russian spies operating in Austria so he could arrest them. Duplicity all around. The secrets Redl sold to the Russians were many. He was finally caught and committed suicide in 1913. In Russia, the Okhrana, the political secret police, employed 20,000 officers and agents by 1914. It also used double agents within Russia to infiltrate subversive groups. But it also supported one faction over another to sow discord within groups on the right and the left. To gain credibility a double agent might assassinate someone in the very government they were allegedly protecting. Sometimes, the target was selected as someone the agent was not fond of anyway. 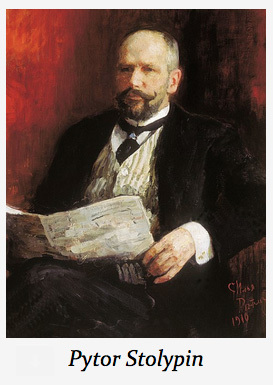 In 1911, Russian Prime Minister Pytor Stolypin, a respected monarchist and reform-minded moderate, was shot dead "under the eyes of the Czar during a gala performance in the opera house of Kiev." The Kiev branch of the Okhrana, however, had been warned by one of its former agents, Dimitri Bogrov, that an assassination plot was underfoot. Police "threw an impenetrable cordon around the opera house and packed it with detectives, while passes and invitation cards were subjected to expert scrutiny." Bogrov was admitted so he could brief the Okhrana chief on last-minute developments. Bogrov then "pulled out a pistol as soon as he caught sight of the Prime Minister, and shot him dead." Posing as a protector, he'd been given access to the target. Talk about treachery! While Beelzebub does not cast out his own demons, and a house divided against itself cannot stand, in the affairs of men things are a bit more complicated. Motives are not always entirely pure among the sorts of people who become spies; petty egos, personal goals, deep grievances, sexual appetites, love of money, the thrill of deception and risk-taking, not to mention love of power and status, can all subvert pure loyalty to a single cause to which they submit their personal will. But the war between Beelzebub and the Lord is between evil and holiness, not between two flawed states. Absolute fidelity is required. But alas, the Church has been warned by the Lord about predatory wolves among the sheep. This warning has no expiration date, no condition set forth upon which danger of malfeasance would pass and our guards may be safely let down. In the Church, we are told, tares grow easily, sown by the Enemy. There should be no confusion about who the Enemy is and his designs on the sheep. Treachery has been visited upon the Church by those posing as protectors of the flock. We are all members of the one Body of Christ, and when one member suffers, we all suffer. The protectors may have had a variety of motives, even risking harm to a few lambs "for the sake of" the greater flock. (What of laying down, if not one's life, at least one's office, for the sheep?) The sheep were not made for the shepherds, but the shepherds for the sheep. Dante looked with little compassion on those who betrayed a trust given to them. Did millstones appear in the Divine Comedy? Were they really needed? In the Gospels it is only proclaimed that a millstone around the neck would have been better than what awaits treacherous shepherds, posing as protectors, double agents of evil, who harm the Lord's little ones. Lord, have mercy.